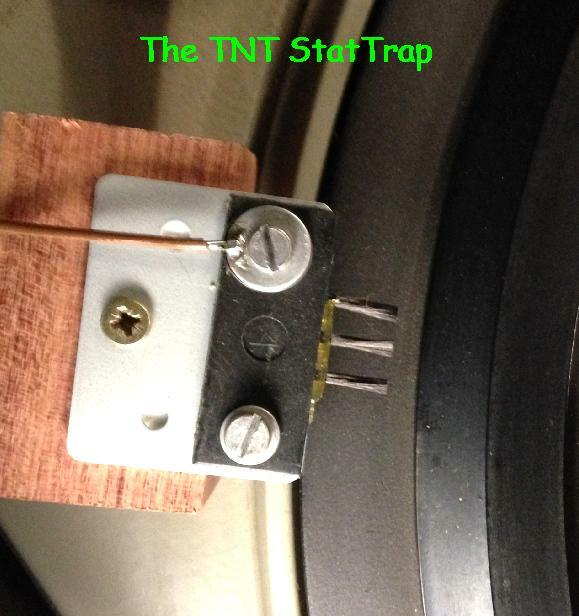 [DIY design] The TNT StatTrap! Much has been written about ridding LP's of static. There are devices available to zap your LP's as well as plenty of Anti-Static sprays and all of these cost money that you could spend on something worthwhile. Below is an absurdly simple cure which is simple, very cheap and actually works. This is no "magic", only standard industry practice, in this case cribbed from Xerox printers. This method is used in many other industries, does not wear out and other than one wire no fancy connections. I live on the Highveld in South Africa which in the Winter is very, very dry and nothing is safe from static. Walking over a carpet to change a CD or record results in a "bite" from my equipment and before I thought this cure up, crackles when lifting the record from the grounded professional EMT 948 turntable. Almost worse than that is how a record picks up dust from the air when static is present, not to mention occasional crackles whilst playing. All that is needed is a small Carbon Fiber brush, something to mount it on, which in my case was a small block of wood, and a thin wire to earth. The width of the brush holder is around 25mm but only because that's how it's made. The brush pictured comes from a Xerox printer although any small conductive thing with many points will work. Industry also uses Copper tinsel which is a version of the wire wool used for cleaning pots. 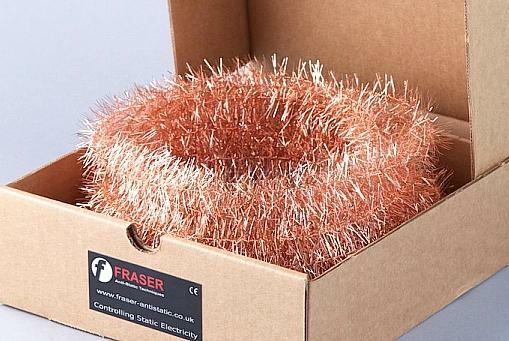 Visit Fraser Anti-Static techniques for more details. The brush does not touch the LP, mine is spaced roughly 4 mm from the LP edge and level with the record. The wooden block just rests on the turntable edge. Run a wire to earth and that's it. No more static, no more sprays to contaminate everything, no $100-00 Zap Guns and no fancy humidifiers. In fact it's the end of static problems! The "brushes" / "tinsel" have a large number of highly conductive fibers, carbon fiber and copper. The fine tips of the fibers concentrate the electric field of the static charge and ionize the air. This ionized air provides ions of the opposite polarity to neutralize the static charge and allow it to flow to earth through the brush body. The tips of the fiber do not need to touch the material to be neutralized, normally they are positioned 2-3mm from it. The static discharger must be connected to an earth / ground. Although static problems in record playback are annoying they are in actuality only small charges which is why large anti-static bars are not needed. Even for the non-technical this is a very easy and worthwhile project and, if needed, be a simple Internet search will find a company that will probably give you a sample of the brush or tinsel. 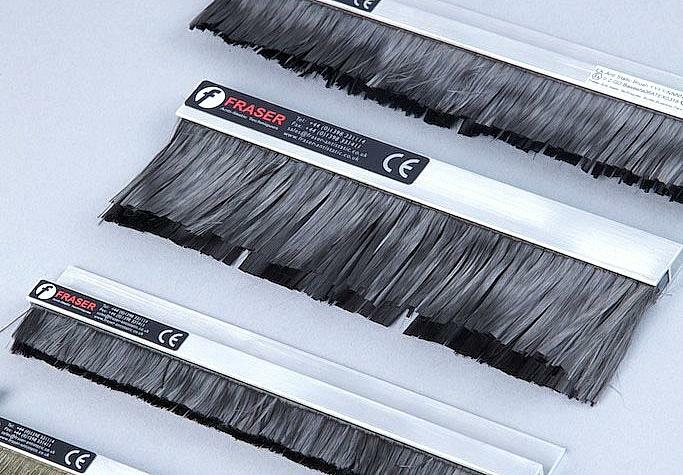 The brushes come up to 5 meters in length and all you would need is a small off cut.